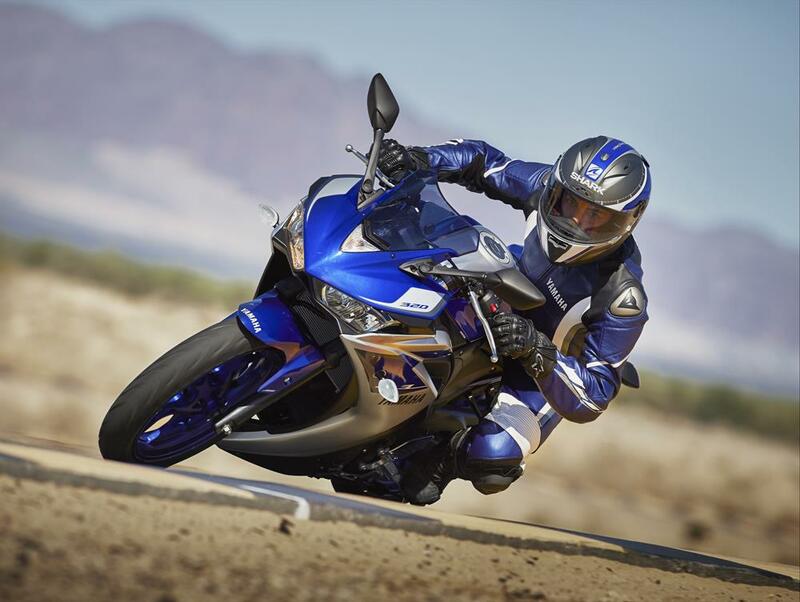 Yamaha’s new YZF-R3 debuted in the UK last week, and now the firm has revealed that it will be priced at £4799 in the UK, making it more expensive than Honda’s CBR300R, but cheaper than the KTM RC390 and Kawasaki Ninja 300. Boasting an entirely reasonable 41bhp and 21.8ftlb from its 321cc liquid-cooled parallel-twin motor, the new R3 is bang-on the A2 licence limit (it weighs in at 169kg fully wet), and gives those tempted by Kawasaki’s Ninja 300R, Honda’s new CBR300R, and even the more generously cubed KTM RC390, another option to agonise over. 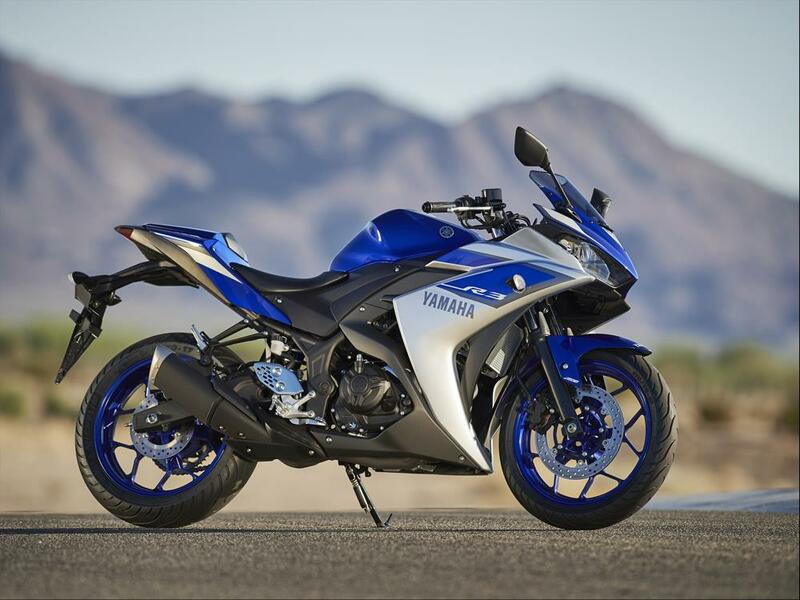 Visually a very clear member of the R-series family, the R3 offers riders wanting to move up from a YZF-R125 a very logical next step, neatly bridging the gap in the range between the 125 and the ultra-focused YZF-R6. 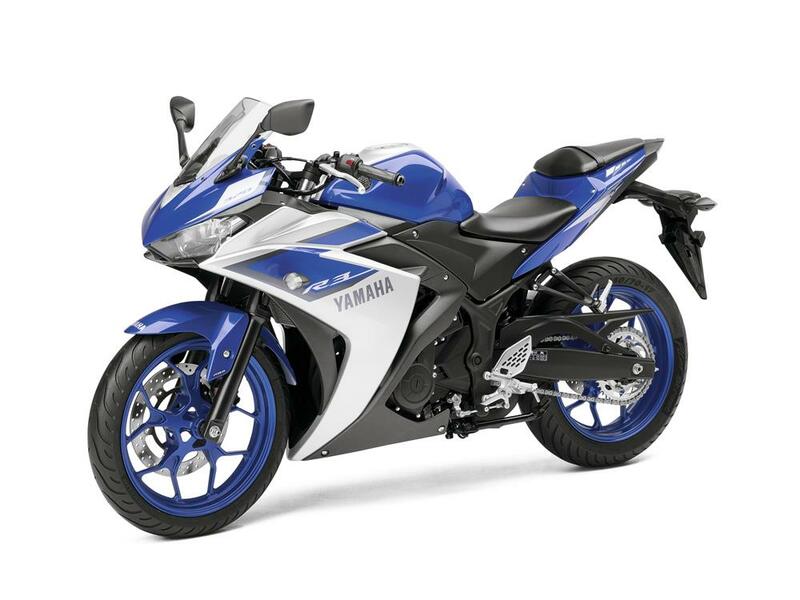 Yamaha claim that the all-new 321cc inline twin cylinder four-stroke DOHC four-valve engine has been designed for solid low to mid-rpm performance, rather than a buzzy screaming top-end rush. Nonetheless, it’s clearly going to be a rev-happy motor with peak power arriving at 10,750rpm, and peak torque at 9000rpm. sturdy 41mm fork, aluminium yoke, and 17in rims front and rear. The R3 is expected to arrive in the UK in April 2015. The CBR300R is a comfortable place to be. It has enough to power to get past traffic, delivers 62mpg, and has plenty of torque for such a small and light bike. The Ninja 300 feels like a scaled-down bigger bike. With its excellent parallel-twin motor, it’s smooth, refined and polished, making it a solid long-term buy. This is a bike for A2 licence holders to be very excited about. It has ton-up performance, lets you roll through the corners, and is built with lots of racy touches.